Laval’s offence improved in the second quarter of the season which helped play a role in them moving up in the North Division. Several forwards stepped up their game, earning top marks in our grades in the process. 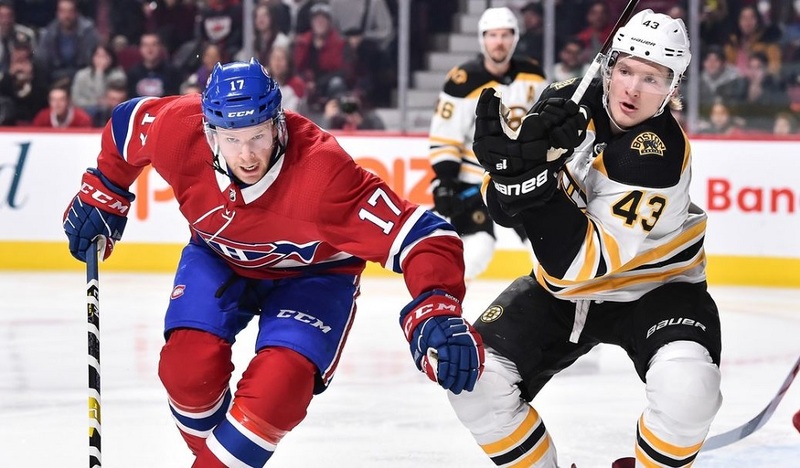 Michael McCarron – A: After he hit a wall following a strong start to the season, McCarron picked up his play considerably and was settling in nicely on their front line while producing like a top liner should. Unfortunately, an upper-body injury took him out of the lineup and there’s still no word on how long he’s going to miss. This is really tough for him as he may very well have been trending towards a recall. Alex Belzile – A-: Given the numbers, this may seem a little high but there wasn’t much of a significant drop off from the first quarter of the year. This surprised me as I figured Belzile would slip back following a strong start but clearly, it hasn’t happened. Any time you have a player on a minor league deal leading the team in scoring, you’re getting a good return on your investment. Byron Froese – B+: He has largely been forgotten this season but Froese has been one of Laval’s steadier players. Considering he’s on a one-way deal, he’s supposed to be a top guy but they’re certainly pleased with the play of the captain so far. With Michael Chaput starting to struggle and Matthew Peca not having the trust of the coaching staff, I wouldn’t be shocked if Froese gets a look with the Habs in the weeks to come. Daniel Audette – B: While part of it is simply the circumstances (injuries), Audette has worked his way back into a top-six spot in the lineup. After spending time on the fourth line (even as a healthy scratch), this is at least a step in the right direction. However, his lack of goals is a concern – it’s nice to get assists but at some point, he needs to show he can put the puck in the net. If he doesn’t, it’s going to be hard to defend giving him a second contract. 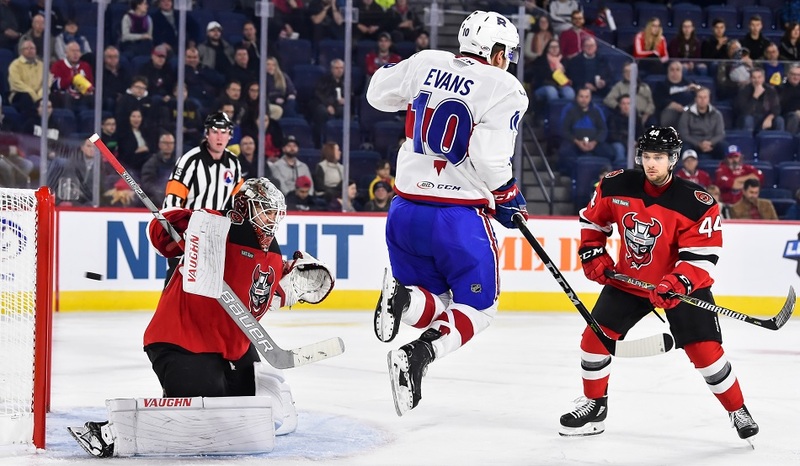 Jake Evans – B-: Evans has been streaky in his first pro campaign and he was quiet a lot in this segment. That’s all part of the growing pains of adapting to a new league but it’s also a strong sign that he’s not quite ready to be pressed into NHL duty yet. Barring a rash of injuries, he shouldn’t be on Montreal’s radar in the stretch run. 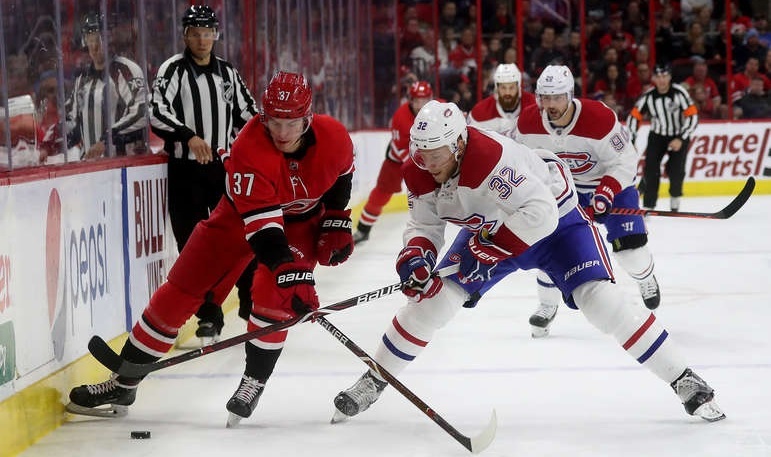 Alexandre Alain – C+: Alain has also quieted down after a promising start and steadily worked his way back down the lineup to the point where he is becoming a regular on the fourth line. A good few games at the beginning of this stretch saves his grade from really taking a dip. He’s only a rookie but they will need more from him in the second half. Nikita Jevpalovs – C+: Every coach seems to have a favourite player that gets a lot of prime opportunities that he probably shouldn’t. Joel Bouchard seems to have Jevpalovs in that slot. Yes, he had a highlight-reel goal but not a whole lot else. Still, his ability to play both wings has allowed him to be used in a few different roles and while he isn’t dominating, he’s holding his own. Lukas Vejdemo – C: Every now and then, there’s a flash that suggests Vejdemo is starting to step up his play. Those haven’t lasted very long. Instead, he has settled into a marginal defensive role and hasn’t taken advantage of the lack of depth down the middle thanks to injuries and recalls. It’s only his first year in the AHL but given that he had pro experience before this, his showing has been a bit disappointing thus far. Hunter Shinkaruk – C-: I get that there’s disappointment in falling short of becoming a full-time NHL player and clearing waivers after training camp really hammered that home. That said, Shinkaruk’s performance has been nothing short of dreadful most nights. He has the skills to be a quality player in the AHL but the effort isn’t there enough. He actually scored a few goals which saved him from the lowest grade but he should be providing way more than he has. Alexandre Grenier – C-: A lack of skating ability held Grenier back a few years ago when he was trying to become a full-time NHL player and as the speed of the game has picked up in the AHL, it’s holding him back now. He’s just too slow to make much of an impact and, like Shinkaruk, appears to be content with merely playing a minor role and playing out the year. Phelix Martineau – C-: His first stretch with Laval did not go well. However, after a brief stint with Fort Wayne of the ECHL, Martineau was brought back due to a lack of forward depth and to his credit, he has played better. In fact, he’s worked his way up to the third line in recent games which is certainly a positive. I still think he belongs at the lower level but give him credit for trying to make the most of his opportunity. Antoine Waked – D+: It took a bunch of injuries for Waked to even get into the lineup and when he was there, he didn’t do much. Now he’s hurt. Year two certainly isn’t going any better than his rookie campaign and it wouldn’t be surprising to see Marc Bergevin trying to attach him as part of a trade to get out of the final year of his deal. Hayden Verbeek – D: Speed alone isn’t enough to carve out a regular role in the minors. Verbeek can fly but the rest of his game needs a lot of work. To be fair, a fourth line slot isn’t ideal for his style of play and if they actually had some forward depth, he’d be a good candidate to drop to the ECHL to give him some more playing time. Michael Pezzetta – D: Well, Pezzetta can hit people. Unfortunately, that’s about all he has been able to show thus far as the speed of the game is something he has shown issues with. It’s telling that an ECHL player on a tryout has passed him on the depth chart already.